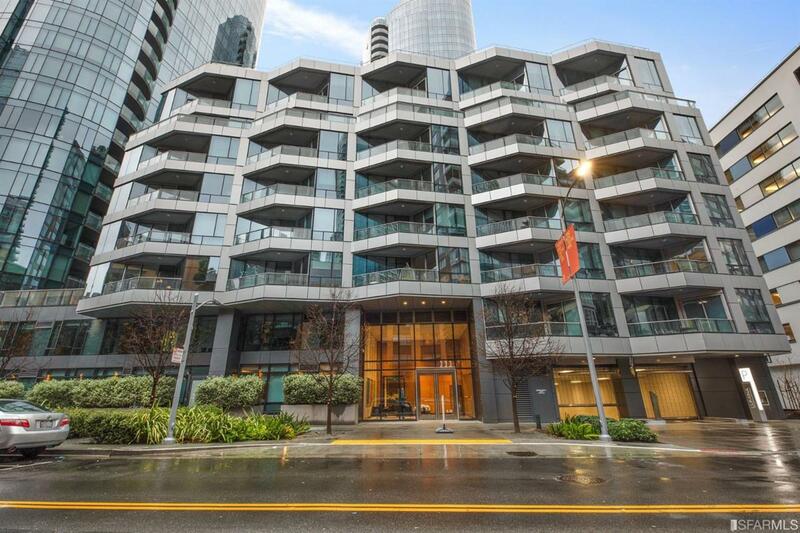 Great opportunity to own at Lumina, SF's premier luxury high rise condo! Contemporary and elegant, residence 3F, a junior 1 bedroom features a rare and open floor plan with capacious living / dining room, hardwood floors throughout, custom closets, in-unit washer/ dryer, finest upgrades included: Gaggenau appliances, Siematic cabinetry, & premium Caesarstone quartz countertops. 1 valet parking included. Take advantage of city living at its finest, with over 45,000 sq ft of world class amenities, including state-of the-art fitness center, lap pool, hot tub, sauna, rock climbing wall, children's playroom, movie theater, bi-level club lounge & more. Short walk to the ferry building, waterfront, AT&T park & many transit options. Woodlands gourmet market in bldg. Listing provided courtesy of Shalini Sadda of Blg Properties.